Last week I was privileged to reconnect with my good friend and peacemaking mentor, Ken Sande. He spoke for the opening plenary session at a conference hosted by Ambassadors of Reconciliation. RW360, Ken’s ministry championing a biblical approach to emotional intelligence, distributed copies of the following: A Peacemaker’s Prayer (used by permission). but I am unfit for the task. so I myself need help. and I lack the wisdom they need. so I come to you for supply. so I can remove the specks from theirs. and be absolutely worthy of their trust. so others can see the way. so others might do the same. where you can strengthen and correct me. that I myself am under authority. the essence of your Law. so I can adjust to the surprises ahead. and thus bring praise to your name. even when others fight against them. that our labor is not in vain. and your Gospel is revealed. and know when it’s time to act. and find their way back to you. and not presume upon your grace. that I treated them well. into the path of your peace. My prayer is that you will make this prayer a regular part of meditative reflection. May it help shape you as a peacemaking force in every situation. This Sunday at Orlando Grace Church we begin this video curriculum study. We all have conflict. Think about the people you know. They may not be in the middle of a big blow up, but they certainly have tense conversations around the breakfast table or difficulties with an overbearing boss. Or more seriously, perhaps their marriage is on the verge of falling apart. Regardless, they are looking for answers. Resolving Everyday Conflict is an eight-lesson study that unpacks the amazing things the Bible has to say about conflict and relationships. As you go through this study, you’ll find the powerful and practical answers you are looking for to forever change how conflict looks in your life. Join us for group discussion and video instruction on this strategic subject starting at 9:30 AM in Room F5. Watch the video promo below! So there I am last Monday morning. I show up at the hospital for a 9:00 AM appointment. Time for a “swallow study.” Gotta love the consequences of a jaw do-over. Forget about the book. What’s the deal here? Administrative mistake apparently. Let’s just say Mama three seats over was not happy. Exit the tech. Ten minutes later the same young lady returns calling my name. I follow her into radiology. Thinking to make light of things I ask, “You’ve got me down for a swallow study, right?” She stops dead in her tracks. “Ah, no, an esophagram.” Terrific. Murphy lives. Now I come to a halt. “My doctor ordered a swallow study.” Apparently he didn’t. It takes us the better part of 90 minutes to get to the bottom of things, but somebody messed up somewhere, no doubt about it. The word signifies a humble, patient steadfastness, which is able to submit to injustice, disgrace, and maltreatment without hatred and malice, trusting in God in spite of all of it (Fritz Rienecker, A Linguistic Key to the Greek New Testament, 2:214). Wow. There’s a challenge. A favorite cross reference of mine using the same Greek term is Titus 3:2–show perfect courtesy to all people. No exceptions. The gospel way is the sweet reasonable way . . . WITH EVERYONE. I want to be known for that. Do you? Very much looking forward to facilitating this study during our Equipping Hour in the New Year. No, I’m not planning to make a habit of this. The member family meeting we called for after the service today caused me to trim some things. One, get equipped to disciple. Get a copy of Trellis and the Vine and read it. Two, use means. Grab some of the Randy Pope discipling plan packets and get busy. We’ve got a bunch of these for free at the office. Three, become a member in your local church. Membership solidifies your commitment to be a discipler somewhere and gives you the ideal outlet for it. Four, become a sanctified busybody. Determine to be the kind of believer that gets in somebody else’s face – IN LOVE! Someone paid our church the best compliment a while back. “I’ve never been in a church where the people are so involved in everybody else’s business.” And she didn’t mean gossip! Five, take initiative. You have not because you ask not. Reach out to others; don’t wait for them to reach out to you. Six, get help. Ask your elder or somebody to assist in matching you up with others. Don’t expect everyone to comply. Not everyone has the bandwidth for an ongoing relationship given their season in life. Some folks don’t want this, even though they claim to be followers of Jesus. Also, be a discipleship matchmaker without being asked. Look to connect people wherever you can. Seven, keep on growing in your own walk by the Word and Spirit so you have something to offer to others. 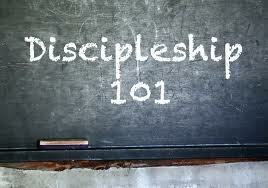 Eight, train others you disciple to do the same things with others. Multiply yourself. Plan to attend one of the new Equipping Hour classes this fall starting September 7 WITH someone else. And, nine, mediate daily on the gospel of grace that you might not live for yourself but for Him who died for you and therefore gladly spend and be spent for others (2 Cor. 5:14-15; 12:15). Someone sent me a link with a thorough list of the one another passages of the New Testament confirming my notion that they all constitute intricacies of the ultimate grace of loving within our relationships in the body of Christ. A local church is not built by one man, or even a few men, but by every believer being actively involved in ministry through evangelizing the lost people in their lives and serving their fellow Christians. A quick glance at the practice of the New Testament church reveals that they thought very little about programs and very much about relationships. For more of his thoughts as well as the complete list of the one another passages for your study and prayer click here.